h, holiday season. It’s the most wonderful time of the year, right? Maybe… but it’s also in the running for the most stressful. Whether you’re slammed at work, underwater with shopping or tense about travel, family and to-do’s, it’s easy to let exercise fall by the wayside. But the truth is, working out might actually be the smartest strategy for easing the ho-ho-holiday anxiety. Even better? Research shows that one ride is all it takes to make stress nosedive faster than you can say "Rudolph." It’s true: According to a study published in Age, the journal of the American Aging Association, just one round of rigorous exercise — specifically 45 minutes riding on a stationary bike — can counteract the negative effects of oxidative stress on the body. Why? Stress attacks the entire body and starts with the brain, particularly the hippocampus, which is responsible for memory. (Talk about something you desperately need during the holidays.) Exercise, on the other hand, reduces levels of the body's stress hormones, such as adrenaline and cortisol, while stimulating the production of endorphins, chemicals in the brain that are the body's natural painkillers and mood elevators. Plus, exercise increases concentrations of norepinephrine, a chemical that can moderate the brain’s response to stress. So working out reduces stress — and makes your body better able to handle anxiety when it strikes. But the benefits don’t stop there. Research indicates that fitting in your workouts not only makes you more productive at the office but it also leads to better sleep, which isn’t always easy to achieve this time of year. Hey, we've all been there: Too jittery about a work review/big event/family outing/trip to the mall on Christmas Eve to quiet your mind enough to catch the zzz’s you need to function at your best. But when you work out, you physically tire yourself out so drifting off into a restorative slumber is a cinch. Finally, cranking up the resistance on a bike can also ratchet up your self-esteem. Studies have demonstrated that regular exercisers from grade school to middle age and every age in between are more confident and feel better about themselves than their less active peers. And when it comes to coping with holiday chaos, believing that you'll not only survive it but thrive throughout it, sure does come in handy. So don’t get December-ed. 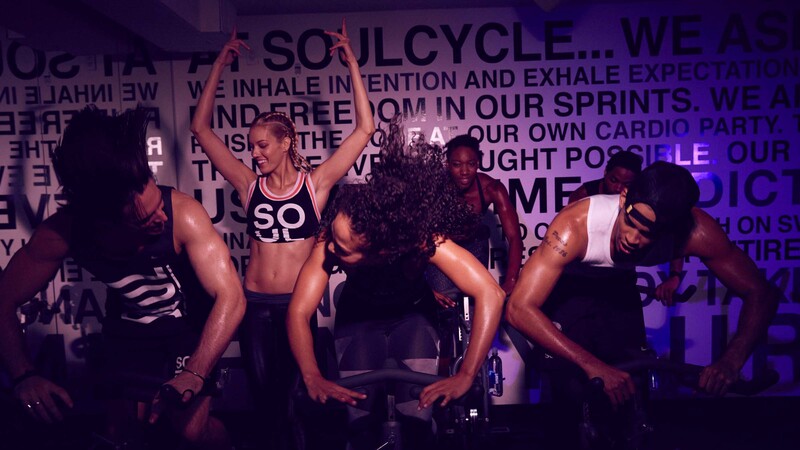 Sprint it out on the bike (hey, you can even commit to our FINISH STRONGER challenge!) and own this season like the rockstar you are.